Yesterday’s clouds were replaced a beautiful blue morning. We regarded this as a bonus since the Aujourd’hui forecast from a few days ago had us expecting unsettled weather. It wasn’t just us that was enjoying the sun and warmth; a pair of dragonflies was using the hedge to our pitch as a launch pad for their hunting sorties. Their behaviour made them obviously so-called darters of one sort or another but of which sort, I know not. 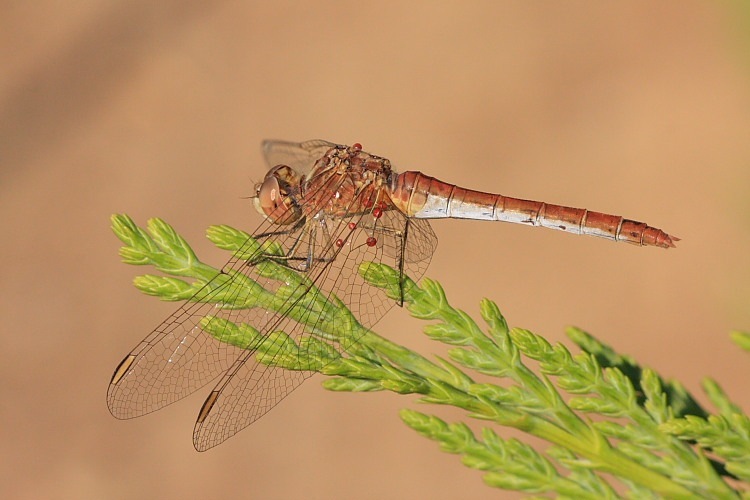 There are supposedly about 100 species of Odonata in Europe and my field guide contains about 20. For the moment, it will remain anonymous. I’m pretty sure that I snapped a male and a female of the species, though. There is a most peculiar feature on what I think is the female: there are strange red bead-like structures visible near the bases of the hind wing. Eventually I stopped invading the darters’ privacy so we could go shopping and stock up the fridge. Following lunch, a swift 15-mile round trip on the bikes into Mèze and back. Mèze harbour was looking particularly appealing in some warm, later afternoon sunlight. Had anybody thought to bring a camera? No! Neither had anyone brought any money for a beer in one of the harbour’s very French bars. Brilliant! Call yourself tourists? Apparently not. Drat! It was a very pleasant ride, though. 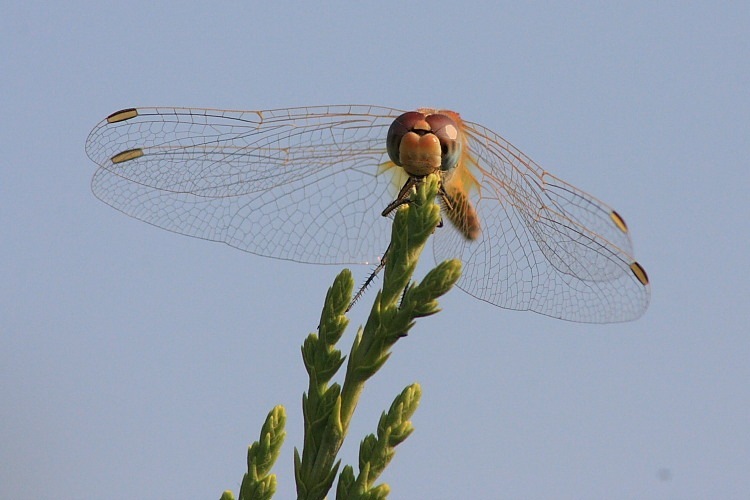 What on earth are those dragonflies?